Whether you’re hearing “Let’s go for a walk!” from someone excitable with four legs, or two, or both, it’s surprisingly hard to know where it’s OK to have the kids and the family dog. 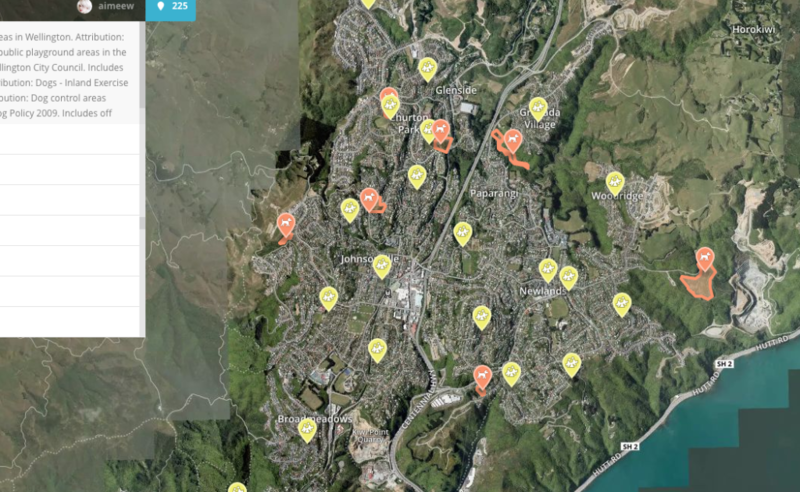 A Wellington mapper and data geek has come to the rescue. 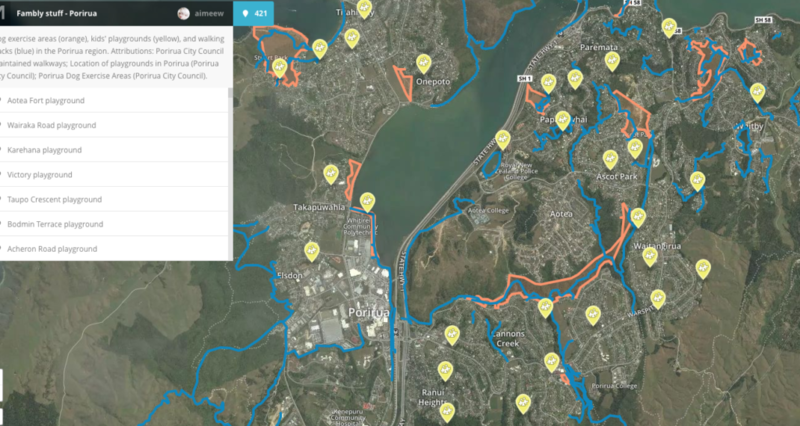 Here is data geek (and dog-lover and runner) Aimee Whitcroft’s Wellington city map. Wellington’s data and GIS geeks are an amazing community. They turn data into really helpful things, just for fun, for the thrill of enquiry and creativity. They are a reason we should all be encouraging our local and central government to make publicly-funded data open – because this sort of thing gets made! Are you surprised at the number of places one can take dogs, kids, or both? What would you love to have a map of in your ‘hood? Lots of useful and interesting creations,will come out of GovHack NZ, made with publicly-funded data. It’s all happening 28th-30th July in Wellington. Do you live in Porirua? Council recently sought people’s feedback on some changes to dog control bylaws (local rules), and a possible new fenced dog exercise area. See here – feedback closed 14th July.